Removed Clay and stone from the list because they where getting depleted Thank you gcuskell for reporting it. 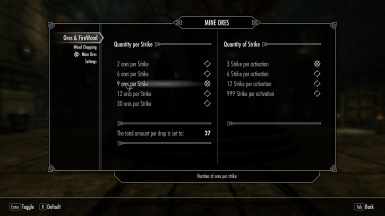 By default game settings the number of strike will be double by default default. It wouldn't be bad if you did, but it isn't bad now for the amount of ore you get. 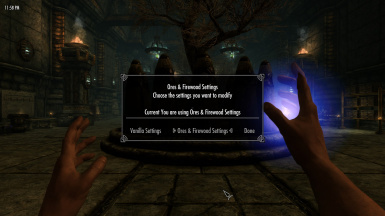 so uh what house mod are you using id like to give it a try, also im downloading and endorsing this mod. Dam! I was going to ask the same question, it looks interesting. I hope you upload it one day. Big chance I will but it will be a while before I do, My work season is about to start and won't be able to finish it before that time. 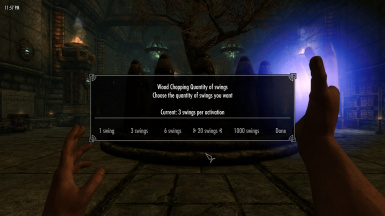 This is an awesome solution for those who playing "lightly" and don't use Complete Crafting Overhaul! Thanks! Awful and unimmersive. Will not download nor reccomend. 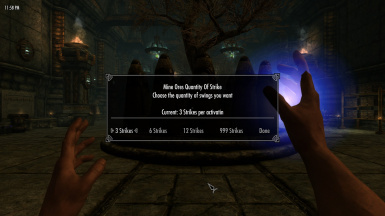 Will this work on the gem veins in Solstien also? It didn't work for me. I have it in the MCM menu set as 100 firewood 1 swing she swung 3 times for 6. What did I do wrong? No sir, not that I know of. 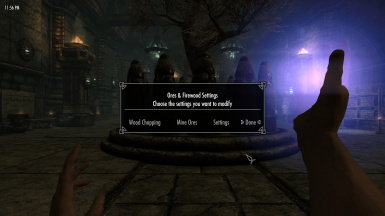 I had faster mining but removed it for this mod. What is the loose file version? I see it, sorry. Thanks! I tried this time on a Stalhrim ore, it is set for ore 3 swings 90 ore, she swung 6 times and got 90 and the ore vein didn't exhaust. Is that correct behavior? I know stalhrim mines differently. I disabled the mod and thought maybe a clean save, but with the mod disabled it still does 6 swings for 90 cores and the vein remains. I will test it. 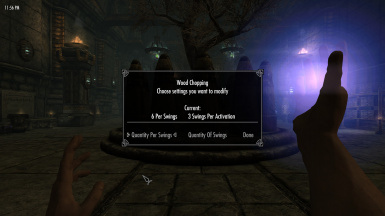 Will the fact that the mod is disabled and still is active going to ruin my test? 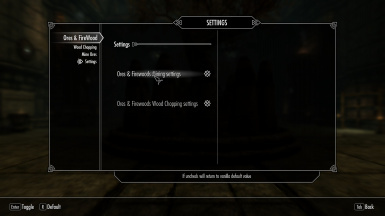 In Skyrim the fire wood works pretty good, but you can't try to end the animation or it does it anyway, but it is fine. 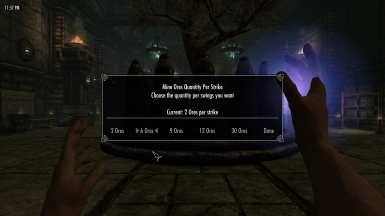 The ore in Skyrim produces double the amount specified. I had it set for 12 swings 30 ore per swing (360), I got 720. In Solstien the fire wood works as well. 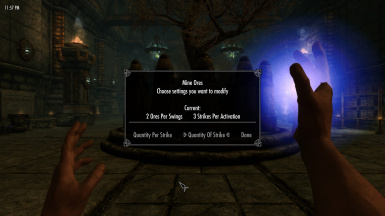 When I mined stalhrim I had it set for 3 swings 90 ore. It swung 6 times and produced 90 ore. So far those are my results. I think my other character may be glitched now so I used a different one for this test. It gave double because I have a perk for it, I forgot about that perk. It must not work in Solstien. 2019 !! it took until 2019 for this to show, THANK YOU ! 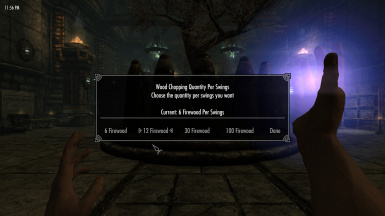 I never mine ores or chop wood but this mod makes it worth while.